No more lollygagging and sauntering towards Christmas, people! Now we are full leap ahead! To that end, I've got a coupla more cards to share with you. Some of you might have found that this little number leapt right into your Happy Mailbox! I used a navy card which I splattered with white Stella to create a starry background. I cut the "Curved Merry Christmas" die from Memory Box using an Avery sticker label, which made it easy to peel and stick it to the card. The leaping stag is from W Plus 9, which I cut from SU adhesive cork. An eyeball gem and a dab of white on the tail added personality to the deer and that was that! Moving Along With the Times: Christmas Scenes. The wreath is from Stacy Stamps. The "Believe" is from Simon Says Stamp. Simple, but very effective with all that sheeniness! 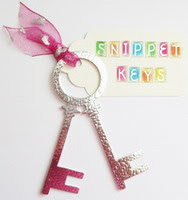 The winner is Maxine Diffy of Kiwime's Kreations! Congratulations, Maxine. I will send off your die immediately! I'm sending warm hugs and best wishes to all those dealing with record-breaking frigid temperatures, ice storms, and snow throughout most of the country. And Happy Birthday love and hugs to Adam and Henry who turn 12 tomorrow!! WDTTG?! Beautiful Christmas cards, Darnell! Both of them so striking! And Happy Birthday to the twins! Two great shares today Darnell and yes it's almost upon us ! Merry Christmas to you and yours and best wishes for a happy and healthy 2017! Gorgeous cards Darnell, I love the stag on the first and the beautiful embossing on the second. Happy Birthday to the twins, that's a gorgeous looking cake. Hi Darnell, Loving both the cards. Happy happy birthday to the twins! Time sure does fly! Love the beautiful cards...the copper...swoon!!! Two pretty cards!! I love the copper on your second card! Happy birthday to the grandtwins! I LOVE your handsome and lively deer and his white tail really does add that much more to his lovely message! Your copper wreath card is just stunning! I don't know where the time goes but it does fly by. Sending birthday wishes to the twins for a wonderful, fun filled day. Thanks for the warm hug as the deep freeze continues here and all across the nation. 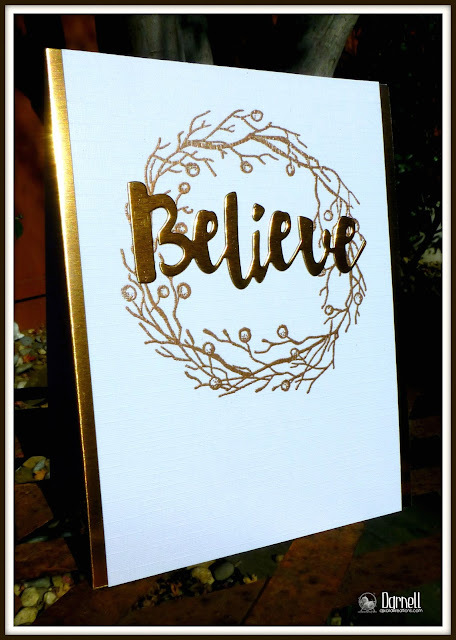 Your cards are lovely and I really love that Believe card. It is just beautiful. Congratulations to Maxine on her win. Beautiful cards Darnell love the elegance the gold brings to your cards! I don’t even know what to do next and with the big winds I have a whole new list of things to do..... The pool had to be first on my list today 7am :( Hope you are ready to go! Love your cards Darnell..WOW the gold with gold is stunning! And it just speaks Christmas doesn't it? Countdown is here, and now I am thinking of all the food prep I have to do...I think playing in the studio is more fun, but hey we gotta eat, right? Better make my list and check it twice cause for sure I will be making daily runs to the store! Happy Birthday to the twins...double the fun, eh? Merry Christmas Darnell!! Beautiful cards! Simple and elegant! Hope you have a Merry Christmas! So beautiful both! 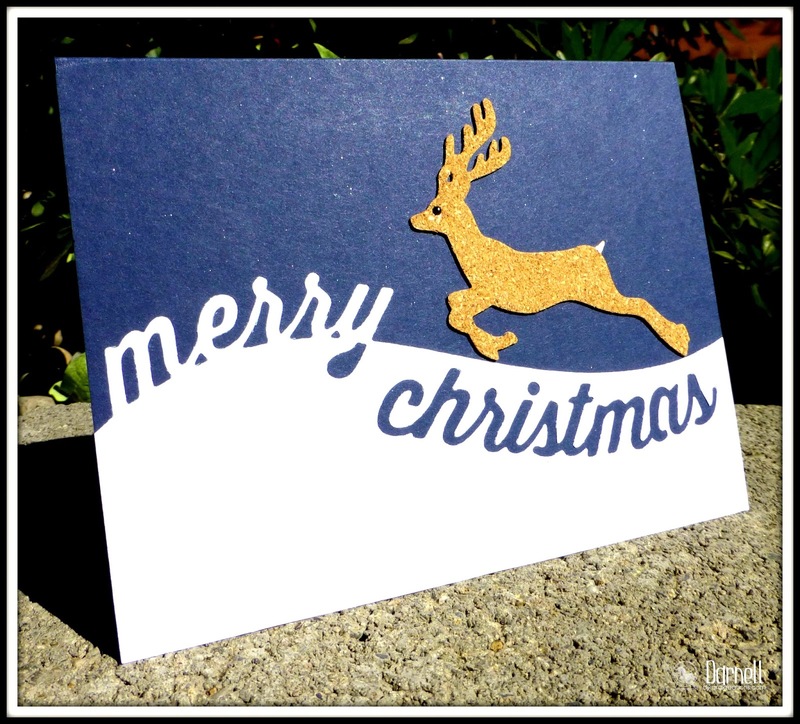 Love the curved sentiment in the firts one and the starry background for the reindeer! Lovely card also the second one, it's so classy! Such pretty cards! You always inspire me! Two beautiful cards Darnell, very elegant designs. 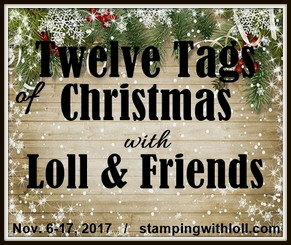 All are so beautiful and perfect for Christmas and holiday designs. Thanks Darnell for the lovely card and the kind words. I'm well, thanks for asking. I've created a list of things I'll never do again,(like painting a room)we can pay someone to do all those things, so life is good. I've followed your blog and read about your travels and I must say you are quite adventurous along with being a great story teller. Merry Christmas and Happy New Year too! Love both of your cards, especially the metallic wreath card. It's so elegant!! Merry Christmas to you and yours!!!! Hugs! What fabulous cards Darnell, they are both beautiful! If I am not back before Sunday Merry Christmas and a blessed New Year to you and the Mister! A totally fabulous cake, hand made by you I presume! Happy Birthday to the Boys. Oops ... happy birthday to Adam & Henry!! Happy birthday to the twins. Did Hammy make and bake the cake. It's awesome. Love the leeping deer card. Hugs Mrs A.
BE-U-Ti-Ful copper card, Darnell! I need to use my copper stuff. Indeed, that leaping deer made my mailbox & me super merry! Merry, Merry Christmas, my friend! So glad I sneaked in some 'puter time cuz these two cards are FABULOUS! I love the sparkly leapin' deer and your GREAT idea to use a sticker label!!! Never would have thunk of that in a kazillion years! Sooooo going to order the SU bronze ep...gorgeous color - love the ' sheeniness' and love the CAS design, which totally allows the ep be the star of the show! Ooops....hit the post button too quickly! Wish the sweet twinks a happy birthday from me! 12 already? Yeeesh...time sure does fly! Happy Holiday Hello to you too Darnell! Sorry I've been so scarce here - the loss is all mine! Glad to be back to see what you've been up to. Two great cards - love the cork deer.... and of course the metallic believe is gorgeous and so elegant on the linen card. Congrats to Adam and Henry .... 12, wow, what a great age to be! Have a wonderful week! Festive and fabulous Darnell, love these! The twins are tuning 12, say it isn't so!!! Wishing them both the happiest of birthdays!! What a wonderful pair of cards! I do believe one of those gorgeous golden deer broke free and landed right in my mailbox and he's much prettier in person too! Love the copper card with it's awesomeness, and congrats to Maxine on her die win! Woot woot! Whopee dooo - thank you for drawing my name for the die Darnell!! The start of next years cards I suspect :-). 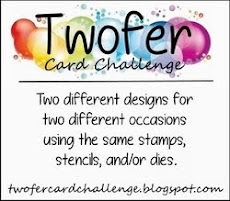 Love you deer card - it is fabulous, and the twefer is awesome too. 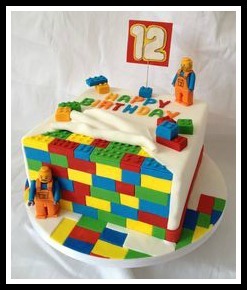 That lego cake is amazing - don't tell me you made it??? Noooooo??? I was sure your had. Both your cards today are awesome! Love the cork deer with his little white tail and the coppery EP on your second card. I love those metallic colors, too! Have a merry week with sugar plums dancing in your head (and not just during sleeping hours!!). Two beeeoootiful makes, Darnell. S'funny but I can't stop making Christmas cards either!!! Apologies, still playing catch up... I think both cards are beautiful, although the copper 'Believe' and copper edging have really stolen my heart - so very elegant! Congratulations to Maxine on her win and HUGE Happy Birthday (belated) wishes to Adam and Henry on their 12th birthday!! Hasn't time flown?? Two gorgeous cards Darnell .... love the copper embossing. Happy birthday to the twins ..... they're growing up FAST!!! Did you make the cake? I'm impressed if you did my friend .... if not, well it still looks pretty amazing. Gorgeous cards Darnell. The reindeer did indeed leap into my mailbox yesterday and I can atest to how stunning he is! Thank you sweetie! What a great idea to use cork for your deer, Darnell. Both of your cards are clean and simple with a lot of impact. That copper is gorgeous. I loved receiving this beautiful card in the mail, Darnell! Thank you! It's even more beautiful in person. Love your special touches, like the white tail and the black dot for the eye. Love the wreath, too. Beautiful! Guess it's Happy Birthday to the twins? WooHoo! Stunning, Darnell! I too am in love with your linen and metallic creation! what very lovely cards as usual. They are both wonderful and I love the starry night you have created onn the first. The colours and the wreath are gorgeous on the second. Thank you for joining the MAWTT Challenge with these. Love the copper card. Let's say I was intrigued by the copper EP, copper thread, and copper foil paper this year but managed to keep my wallet intact. I decided I can enjoy what y'all make. Your leaping deer card is cool too! Oh, such gorgeous Christmas cards, Darnell!! Love the deer and awesome die on first card! And, second card is just perfect beauty with the wreath and all the gold! 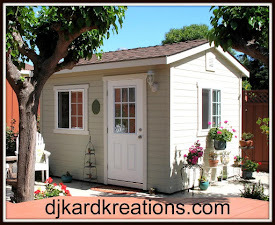 Thank you for your sweet comments on my blog! Merry Christmas to you and family!! Merry Christmas, Darnell! Wonderful cards! Great texture with your cork reindeer, and I love all of that coppery goodness! Happy birthday to your grandtwins! Gorgeous cards. Believe is breathtaking. Copper EP and paper, who knew. Happy candle-blowing to Adam and Henry. Wonderful cards, Darnell! Merry Christmas! You've been busy! Thank you so much for the lovely card you sent to me here in what is, today, a VERY wet afternoon. Thanks for the comment you left on my blog. May your Christmas be very special as you celebrate the birth of our Saviour. Lovely cards Darnell and what a great idea to use the label for diecutting...must remember to pinch that one! 12 years old...that's positively grown up!! I like how you're using big words (if you know what I mean) on these lovely cards. Love both of your cards and I am happy that one of them is gracing my wall! Thank you so much! Hope the twins had a fun birthday! Before you know it they will be in College! Just zipped in to say Ho, Ho, Ho, Merry Christmas!!! Loved both these sparkling cards, and #1 - I must say this - even more prettier IRL! Wishing you & the family a happy time spent together, and a wonderful 2017. Was delighted to see Maxine had won, it will be a big uplift to Miss M. just now. Big hugs, TFS & thank you also for your wonderful friendship! Hope Santa is good to you! Wonderful cards Darnell! Merry Christmas. Merry Merry and all the best wished for you and your family in 2017! Great cards and like Carol (In a comment said above mine) "That deer leaped right into my mailbox and really made my day! Thank you so much! This copper look is wonderful. Loving that Believe die!